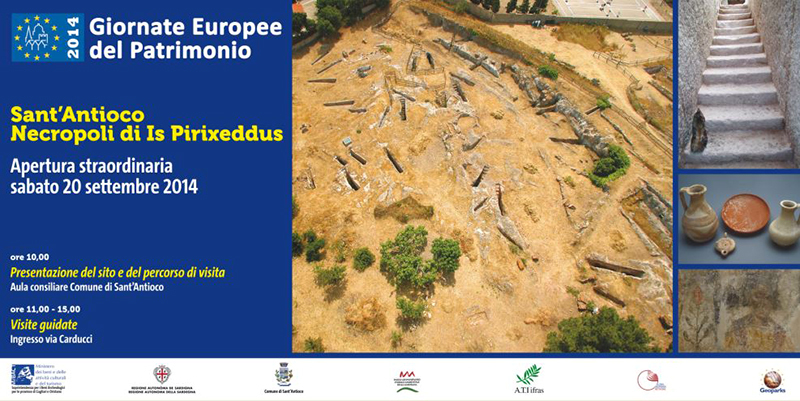 Since 2007 the success of visits to the regional event ‘Open Monuments’ has been an important increase of results, last year has indeed counted over 10,000 admissions in only two days dedicated to the event. 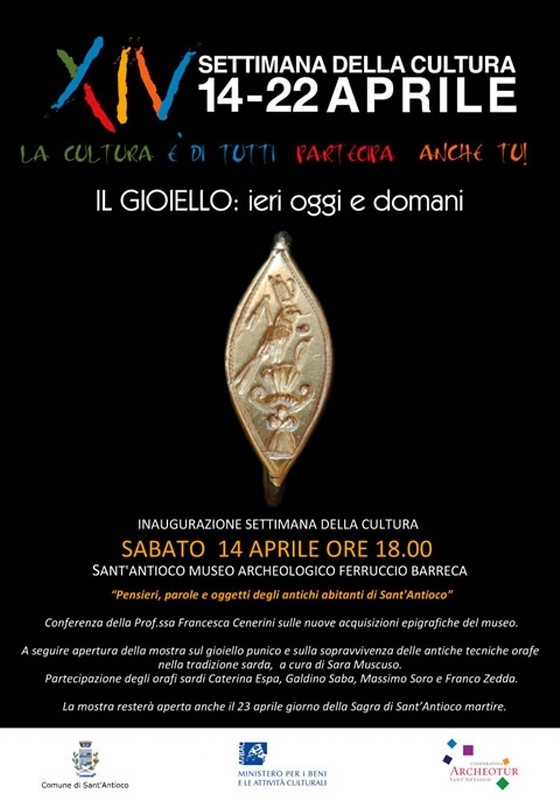 The annual event is held in April or May, and is based on active and essential participation of all the local schools of all levels, cultural associations, committees, voluntary associations; each group contributes with its competence sponsoring the event and accompanying visitors to the cultural heritage of the town. 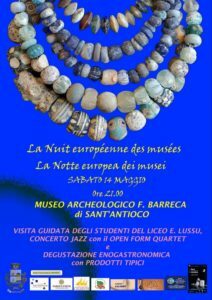 The MAB is the heart of these events, involving all the cultural areas of the country including those not normally accessible; visitors are welcomed by students from primary and secondary schools, high schools from Sant’Antioco. 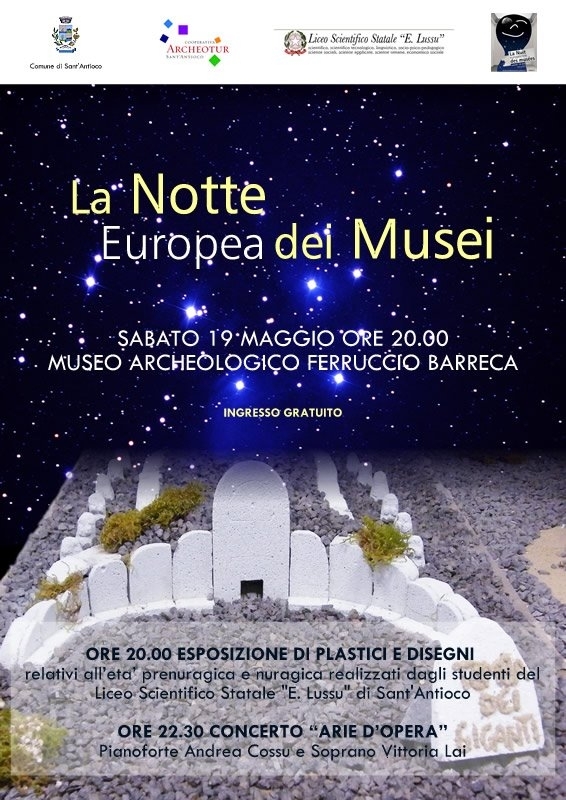 The MAB since May 2009 joins the European event Nuit européenne des musées, with extraordinary and free opening museum at night. On this occasion are organized side events which include: themed conferences, the event ‘Sulci: Hebemus in cena’, jazz music with Open form quartet, tasting of typical products, models exhibition of the students of the Science high school E. Lussier, exhibition of the contemporary artist JH Block and exhibition of Klezmer sonorities by the music group YACOBAI, traveling exhibition ‘Antioco’: the Holy saint came from the sea. 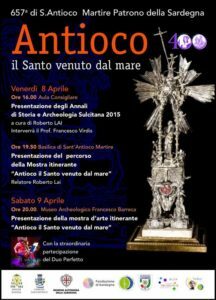 The City of Sant’Antioco each year joins the European Heritage Days, with reduced prices for access to culture areas and many events. 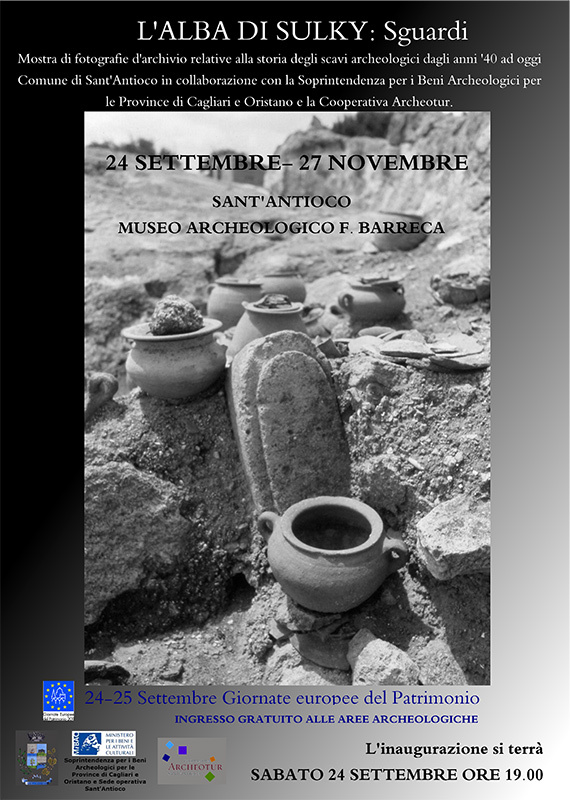 Among them we remember the photo exhibition The Dawn of Sulky regarding the long season of archaeological excavations that from the 50s to today have rescued the remains of the ancient city of Sulky, revealing its thousand-year-old history. 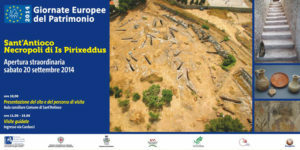 Extraordinary opening of the Punic necropolis of Sulky closed to the public for sixteen years. 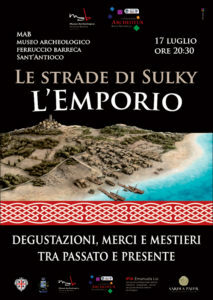 The event, promoted by the Archaeological Superintendency of Cagliari in collaboration with the City of Sant’Antioco and the Consortium of Companies IFRAS, proposes a path in a diachronic key of different periods of use of the site, from the Punic age (VI- III BC) to Romans (I-IV AD), until the reuse of some Punic hypogeums by the early Christians (IV-VII AD). 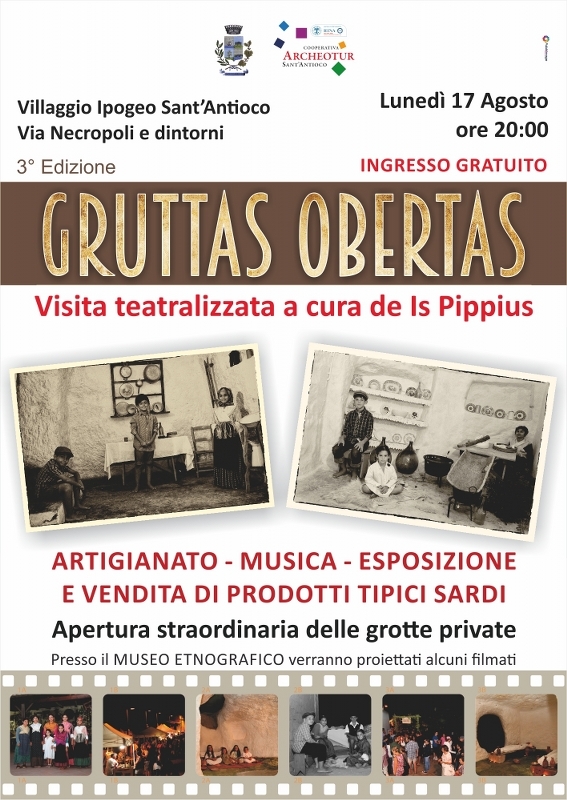 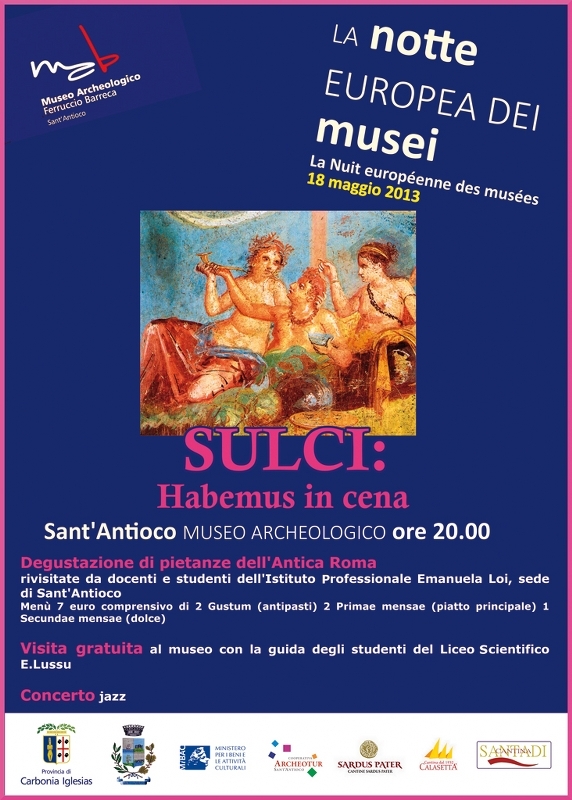 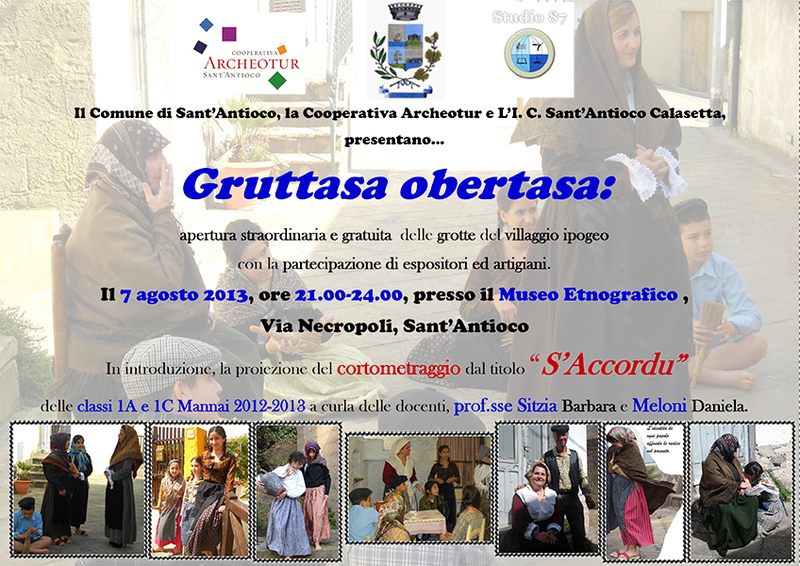 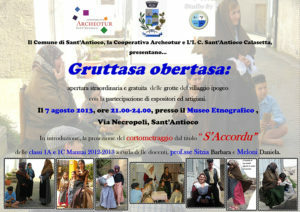 This is a summer cultural event organized by the Cooperative Archeotur with the Municipal Administration. During this nightly event the hypogeum village and the several hypogeums tombs located under the old town are animated by children and citizens from Sant’Antioco who personify the old residents, farmers, craftsmen, shepherds and fishermen and their families, passing by through centuries of traditions and customs . 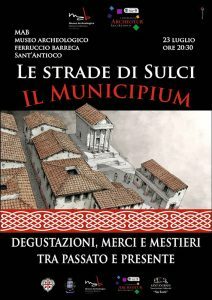 The setting of the historical center of Sant’Antioco is also animated by the presence of numerous sellers of local products. 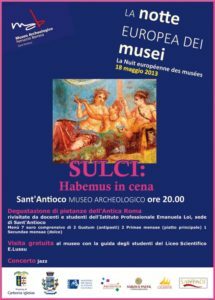 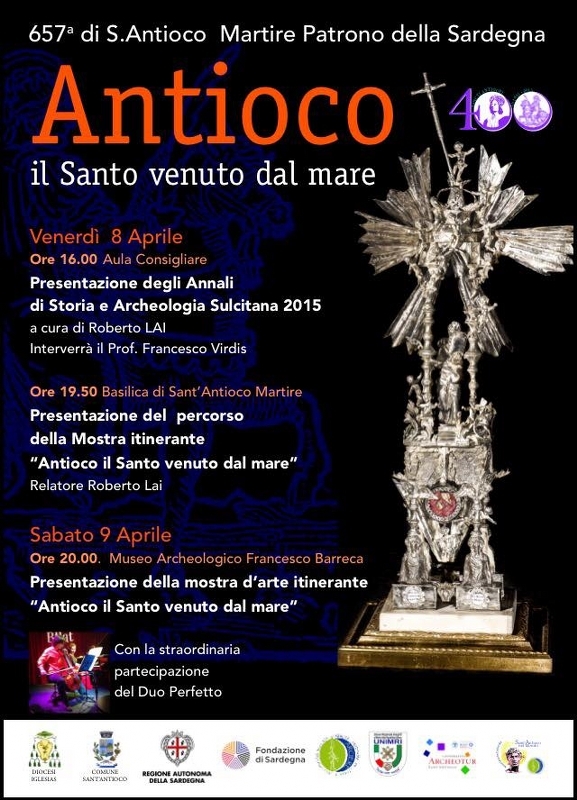 The Archer award, established in 2009, has been housed at the Archaeological Museum F. Barreca of Sant’Antioco, concomitantly with the annual feast of the Holy eponymous, the patron saint of Sardinia. 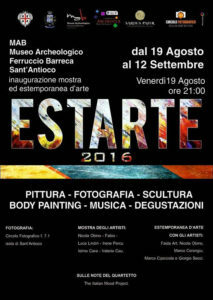 The art exhibition Archer was created in order to establish an opportunity of dialogue and discussion between the local and regional context with contemporary artists around an idea of different art from the most popular in specialist circles , non-sectarian and elitist, then; an idea of art of a larger collective sharing in the belief that only this privilege can assure a more vital and significant role in the actual cultural patchwork of our times. 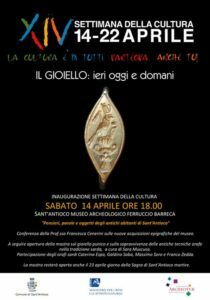 ‘THE JEWEL: yesterday, today and tomorrow’ retraces and spread the most significant steps of the jewelery in the Sardinian environment, with emphasis on the eastern origins of these craft productions from which will be create the development of a unique style full of multiple cultural contributions. 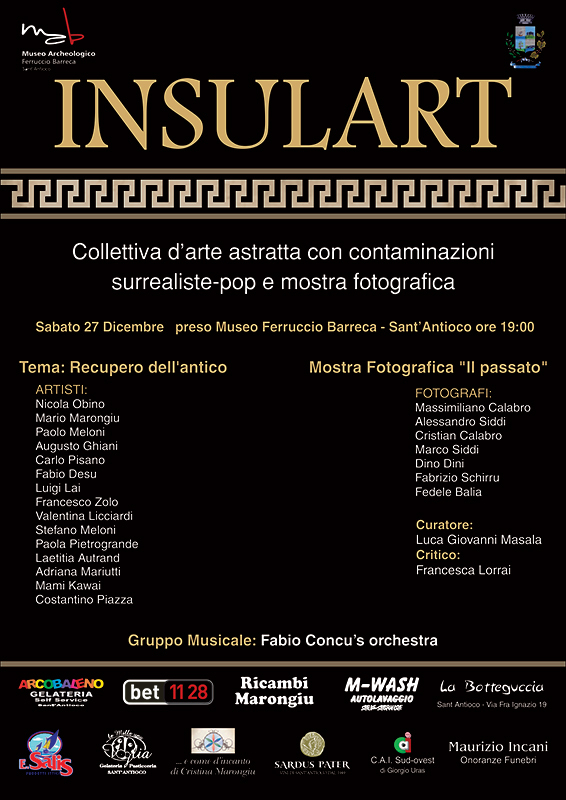 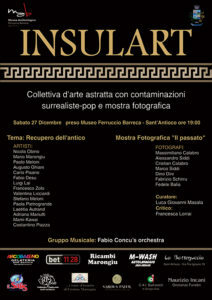 Group exhibition of abstract art with pop-surrealist contaminations and photo exhibition. 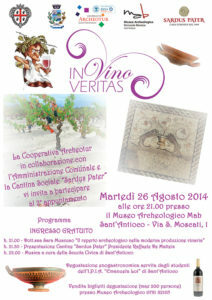 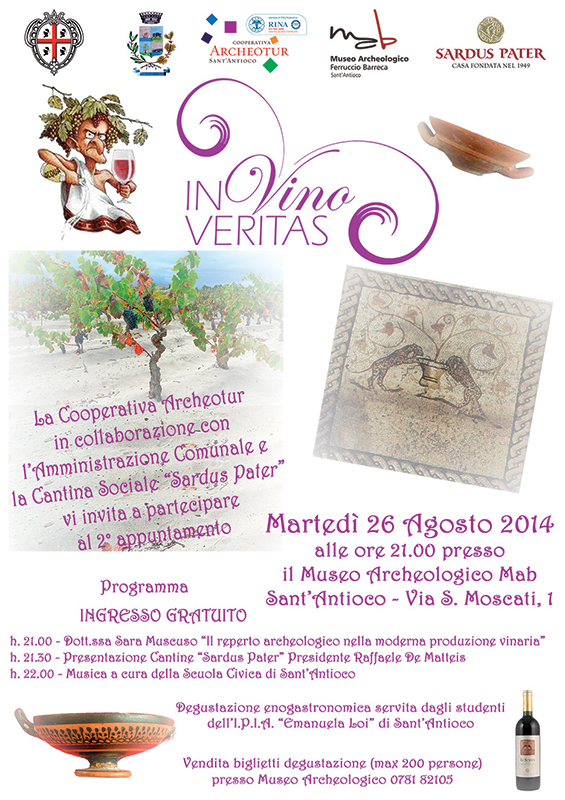 Lectures, guided tastings at the Sardus Pater winery of Sant’Antioco and live music. 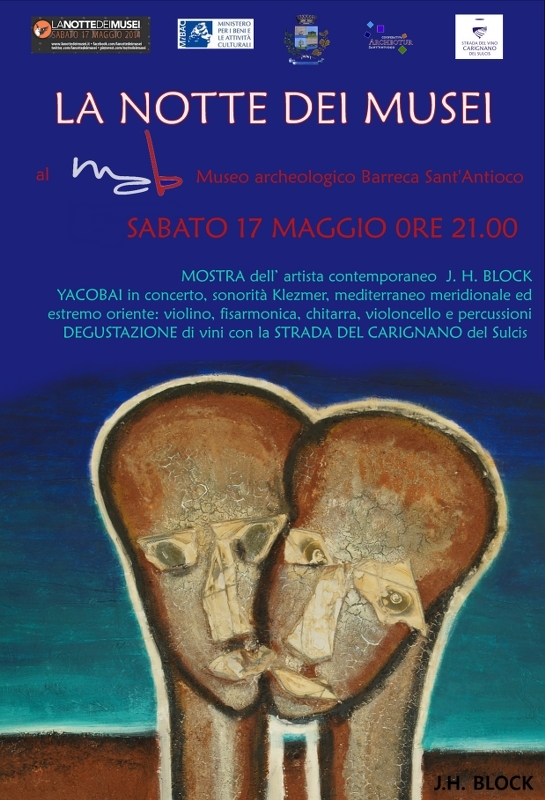 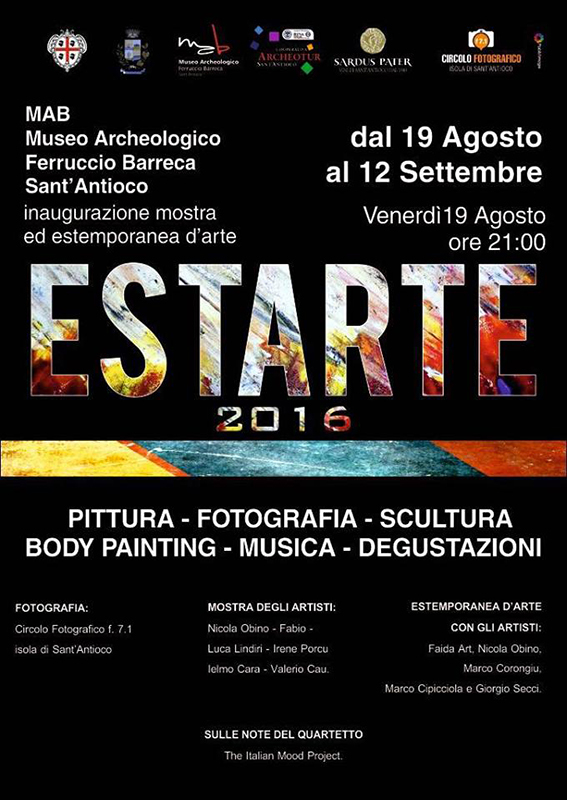 Photographic and painting exhibition, extemporaneous painting, sculpture and bodypainting, with the notes of the musical group MamboDjango and the famous Carignano wine of the local Wineries Sardus Pater. 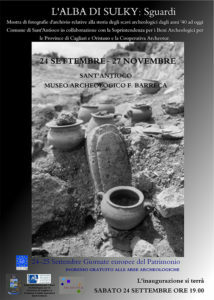 Re-enactment of the Phoenician market combined with contemporary productions of local artisans and producers. 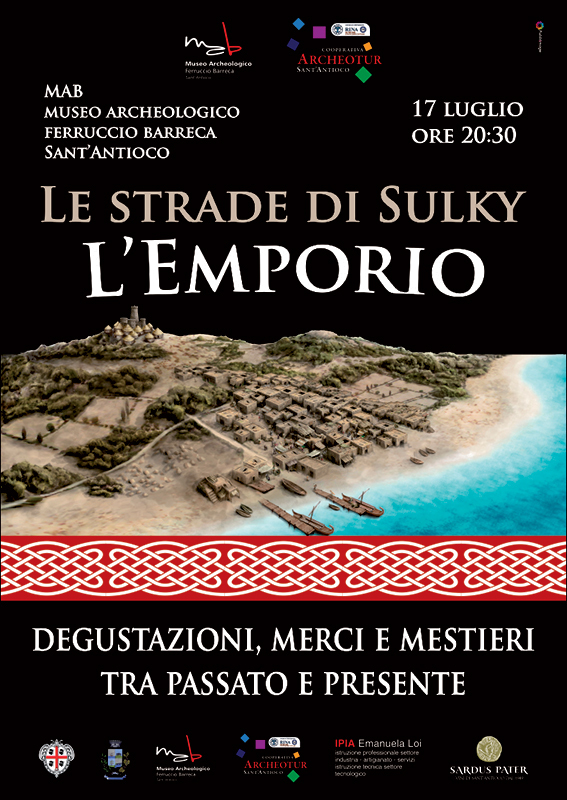 The tasting of a special menu, skillfully cooked by the Professional Institute for hospitality students, will allow to live in a charming atmosphere of tastes and flavors coming from the East. 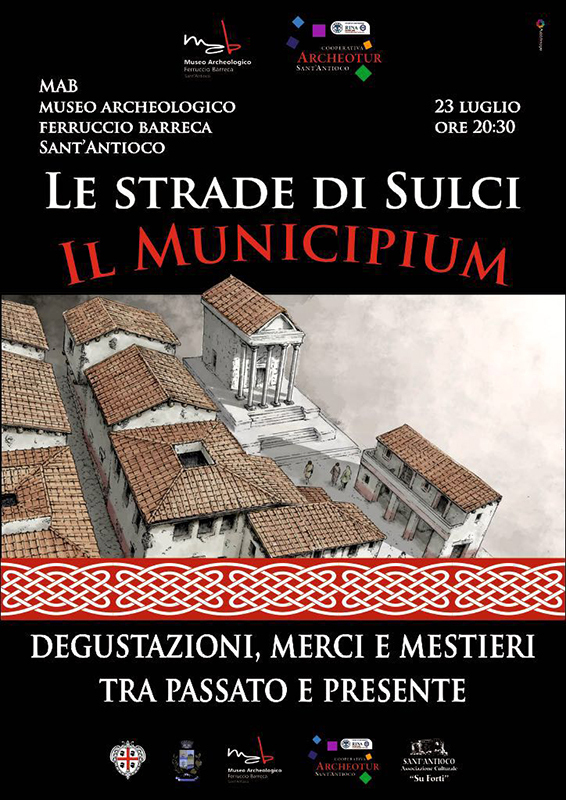 Re-enactment of the Roman Municipium of the ancient city of Sulci with reconstructions of moments of private and public life of the inhabitants of the center: domus, taverns, markets and temples.